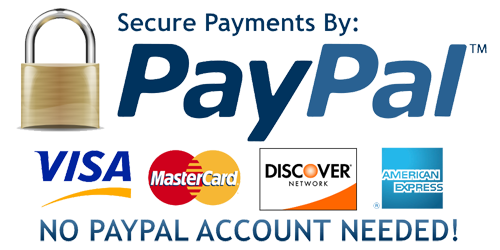 Available sewing services: finishing raw edges and sewing in the gathering tape. 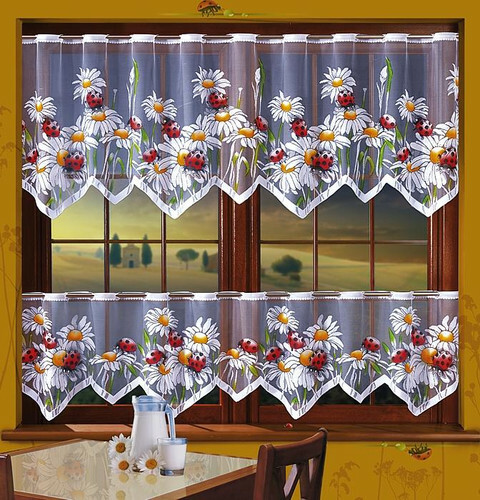 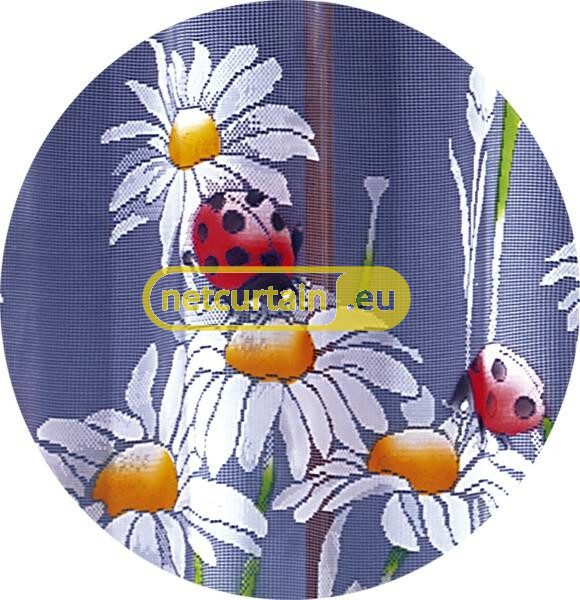 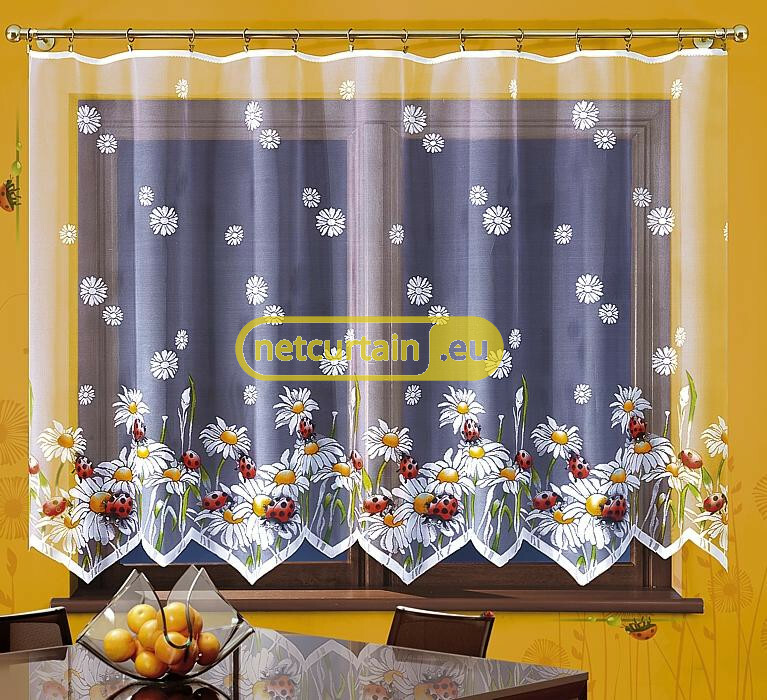 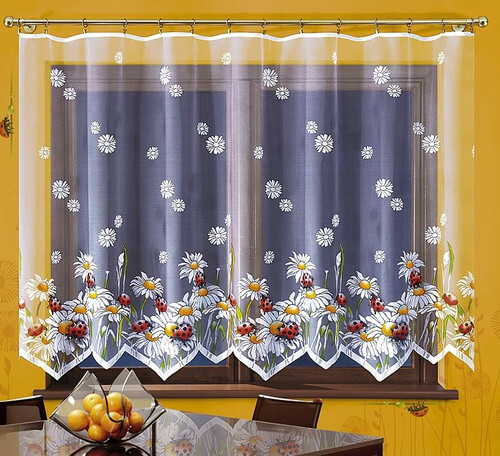 Hand-painted jacquard net curtains with the pattern of ladybugs on camomiles. Also available cafe curtains in widths 70 i 50 cm with the holes for curtain rod.